Irving Traffic Ticket? Call 214 575 6060! We’ll give you clear answers about your options, your chances of a dismissal or a deferral arrangement, our fees, the time the process takes, as well as the fines and costs you might ultimately have to pay. 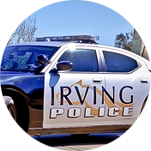 If you think you may have an active warrant in Irving, you can click here to check. Call us if you find one! We’ll post a surety bond to lift the warrant, set you on the attorney docket, represent you in court and seek a dismissal or negotiate a favorable plea arrangement to keep the citation off your record! 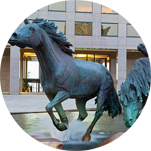 Irving Municipal Court hears Class C Misdemeanor criminal cases, including traffic violations, for which the maximum fine, upon conviction, does not exceed $500, and for which no jail sentence may be assessed. It also hears cases involving violations of city ordinances, which may have fines up to $2,000 for certain offenses. Alcohol Violation: Possess Open Container In D. C. A. Failure To Keep Pool Water In Alkaline Condition. Failure To Remove Injurious Matter From Prop. Helmet Ord: Dealer Fails To Make Physical Observation. Helmet Ord: Transport Of Another Not Wearing Helm. Jaywalking Within The Central Business Dist. Ordinance Violation With Maximum Fine Of 2000. Own/Operate/Control Comm. Bldg. W/O Certif.. Of Reg. Parking On Unapproved Surface: Owner Or P.I.C. Performing Work Without Permit From Bldg. Off. In a hurry? Call 214 575 6060 to speak to a lawyer immediately, or send us a short email by filling out this form. Be sure to include a good telephone number so we can get back to you quickly!